New spring for Soviet era ideas as Russia sets to speed up Arctic economic development. Scientists with the Central Design Bureau for Marine Engineering Rubin are brushing dust of old ideas for civilian use of nuclear powered submarines. Speaking at the Arctic Forum conference in Arkhangelsk, head of Rubin’s project team, Viktor Litvinenko, said such a nuclear powered submarine will help future generations to solve the serious problems of developing the Arctic shelf. «This is a civilian nuclear submarine. Instead of [missiles] launchers it will have robotic systems and autonomous subsea vehicles for seismic exploration, search for any kinds of mineral resources,» Litvinenko said in his presentation, RIA Novosti reports. Rubin knows how to create nuclear powered submarines. The design bureau has all Russia’s ballistic missile submarines in its portfolio, from the first Hotel-class subs in the 60ies, via the giant Typhoon class to the current Borei-class. The engineers with Rubin also designed the Echo-class and Oscar-class cruise missile submarines. Litvinenko said the new design will be the world’s first nuclear powered submarine designed for civilian purposes. It will be 135 meters long, have a crew of 40 and ability to dive to 400 meters depth. Both the Barents Sea and Kara Sea have depth shallower than 400 meters. So has the shelf along the Northern Sea Route north of Siberia. On Wednesday, President Vladimir Putin instructed the Government to speed up Arctic developments. «It is nothing surprising in this idea. The USSR, and now Russia, has sufficient experience in the construction and operation of nuclear submarines. It’s amazing that such a vessel has not yet been built,» says former employee of Bellona-Murmansk, Andrey Zolotkov to the Barents Observer. Zolotkov is an expert on nuclear safety and has background from the Murmansk-based fleet of civilian nuclear powered icebreakers. He says the announcement must be seen in context with the event where it is presented, the Arctic Forum in Arkhangelsk that draws much attention. «The authors deliberately links the idea with the Arctic to promote their plans,» Zolotkov says. He thinks building such submarine is doable. «True, the depths in Arctic waters are, in the main, relatively shallow, but it is too early to talk about subsea extraction of minerals, other than oil and gas. However, if you read the statements made at the Arctic Forum in Arkhangelsk, it seems we have nothing else to master than to make a broad development of the Arctic. 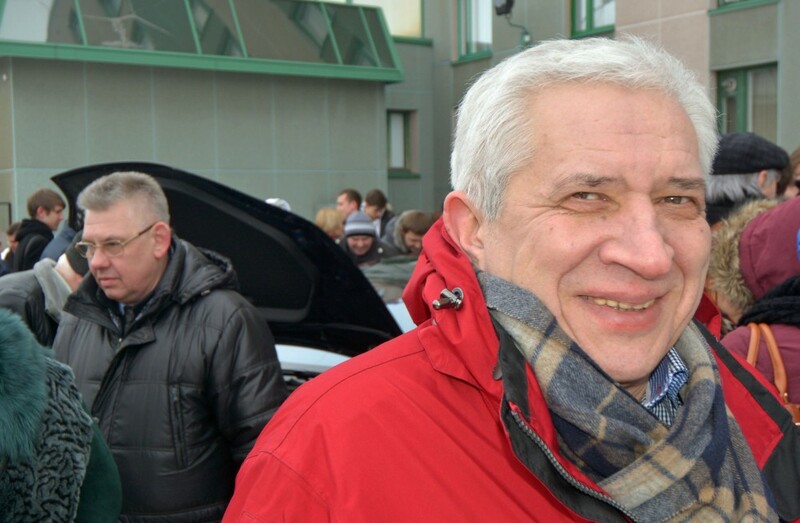 Economy will put everything in place,» Andrey Zolotkov says. In late Soviet times, ideas were presented both to build special underwater nuclear powered oil carriers and submarine freight transportation units. Also, in 1997 Rubin Design Bureau presented plans to rebuild the giant 170-meter long Typhoon submarines for cargo transport. The Typhoons are powered by two nuclear reactors. In Rubin’s portfolio is GazpromNeft’s rebuilt and ice-improved Prirazlomnoye platform that currently is pumping oil in the Pechora Sea. The bureau’s portal also lists other ideas for the use of nuclear power aimed for civilian purposes, including a 95 MW floating nuclear power plant and technical proposals for underground nuclear power plants. Last year, Rubin presented the idea to construct small underwater nuclear reactors to provide power to subsea-drilling complex in icy Arctic waters.